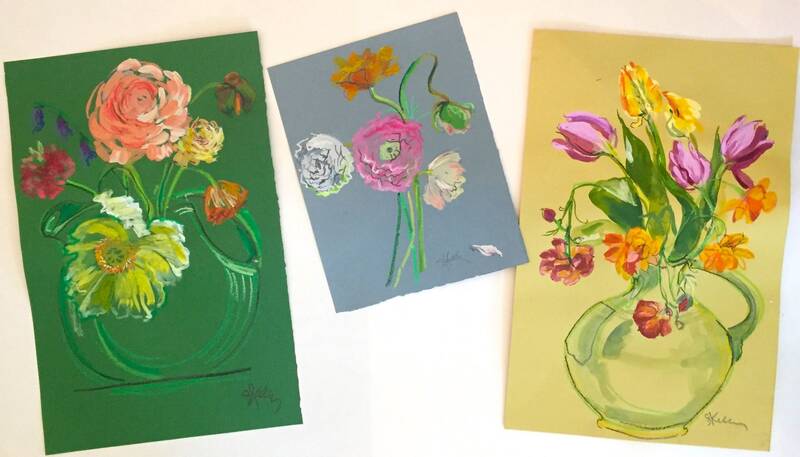 The Spring Farmers Market is in bloom and I like to paint the flowers that Marilyn sells. 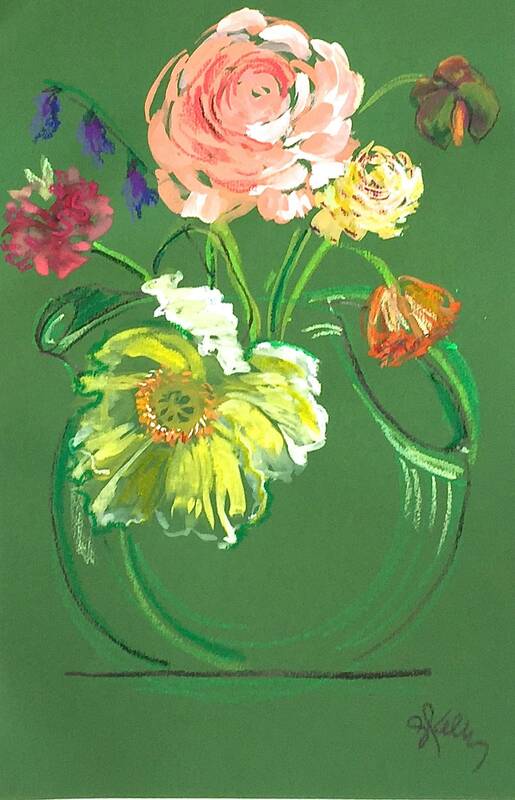 This flower painting stands on it's own or looks beautiful framed with others for your boudoir or powder room. It is the ultimate feminine Art for your wall.